Pool Side: Pool with floating cabanas and fire pits. Food served from Fuego restaurant menu. Pool Bar is open seasonally on weekends only from 12-6PM and offers food and drinks. Fuego Restaurant: Fuego a Long Beach restaurant is a celebration of the coastal cuisines of Mexico and Latin America. 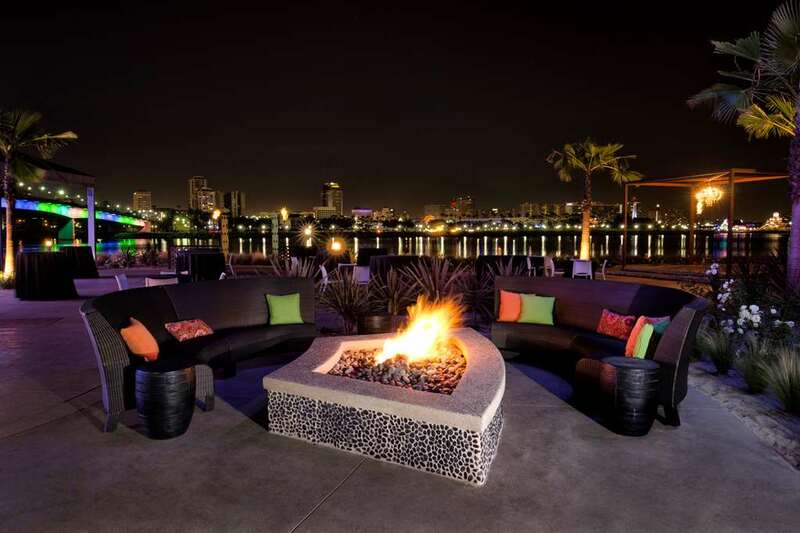 With a breathtaking waterfront setting with views of downtown Long Beach and the Queen Mary guests at this Long Beach restaurant will enjoy relaxing indoor and outdoor seating and modern Mexican decor.